At this month’s open day we have a seed swap – a chance to bring or take some seeds at the start of this growing season, and to learn more about why harvesting seed is so important in a just and sustainable food system. We also continue our focus on pollinators, with a BeeWild family craft activity and a workshop on pruning fruit – maximising nectar for pollinator insects and fruit for us to eat! And for lunch our guest chef is Ben Bohm-Duchen, who enjoys working with fine seasonal produce – see how he describes his approach to food and flavours below. 10-12.30 Seasonal Blitz morning: our weekend volunteering opportunity, join us at 9.45 for a 10am start. Lunch is provided for those doing the full morning shift. 1-3 BeeWild Family crafting: art session suitable for families of all ages. Creating prints of the plants loved by bees and butterflies, to become part of an exhibition later in the year. Dress for the outdoors and for messy craft activity. 1.30 Seed swap: bring your spare seeds to share or pick up some new interesting varieties. And an opportunity to learn more about why we need to resist corporate control of the seed industry. 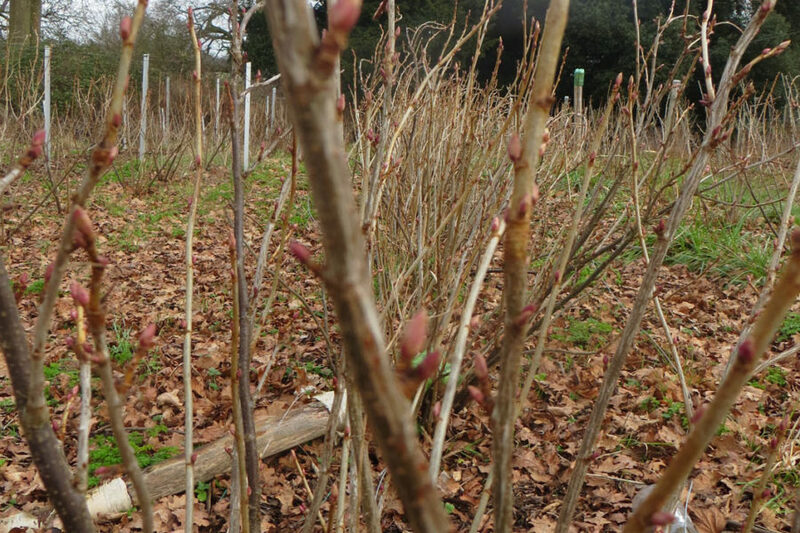 2-3 Fruit Care for Pollinators: a practical workshop on the basic principles of pruning fruit bushes and trees for the benefit of both pollinator species and humans alike. 3 Site tour: learn about the site’s design and growing stories.